Monaco insist that two of their young stars, Kylian Mbappe and Bernardo Silva, are not considering an exit this summer. The top goal scorers in Europe at the moment, Monaco, have a squad full of stars who are having a ball of a season in Ligue 1. They are currently in with a shot at the French domestic title, but the manager and the owner of the club have plenty to worry about ahead of the summer transfer window. A number of star players from the club have constantly been linked with an exit, and two players, who are reportedly not ready for an exit, are Kylian Mbappe and Bernardo Silva. Mbappe, the 18-year old French star, broke into the first team this season after spending a couple in the academy at Monaco, and he is in the form of his life at the moment, scoring 23 goals in all competitions. He is currently one of the most productive and exciting players in his positions in Europe, and is attracting a lot of interest from England. The likes of Arsenal, Chelsea, Manchester United and Manchester City are all linked with a move for the teenager, but it is now understood that he has no intention of quitting the Ligue 1 outfit anytime soon. 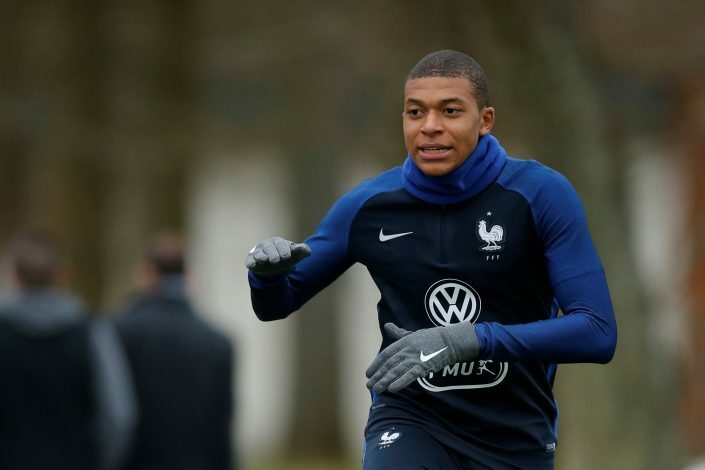 Monaco vice-president Vadim Vasilyev revealed today that neither Mbappe, nor Silva, have asked the club that they want to leave. He told Telefoot: “We do not need to sell, the budget is balanced. For the moment, not a single player has told me that they want to leave. We will discuss it all in a relaxed manner.